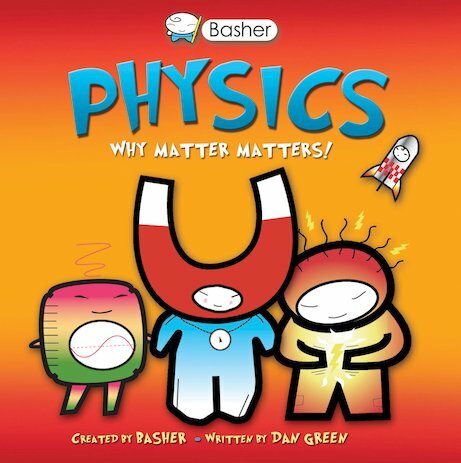 Buy Physics: Why Matter Matters! Use Rewards for Physics: Why Matter Matters! Science meets street art. These wacky manga characters are catchier than a Top 10 hit. You might be familiar with boring physics. Now it’s time for manga physics. Top urban artist Simon Basher is showing you science as never before. He’ll use his famous edgy art to bring alive heaps of cool physics characters. You’ll definitely want them in your gang; they are vital building blocks of life. At least, the good guys are. Such as Energy, the lively one; Sound, who brings music to your ears; and Light, who makes the future brighter. But there are also some bad boys you might prefer to steer clear of. Like Entropy (a master of disaster! ), and Black Body Radiation, a ninja-style shadow who slays Light.